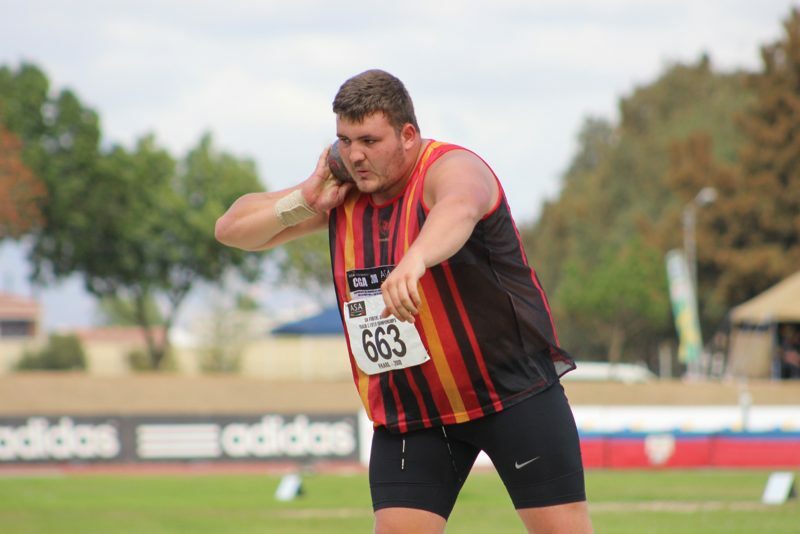 Kayle Blignaut again displayed his tremendous potential, setting a national record of 20.85m to win the Junior Men Shot Put final by more than three metres. Though he had hoped to become the first South African in his age group to send the shot sailing beyond 21 metres, he remained confident of achieving what would be a remarkable feat later this year. "I just need to compete more, because in training I'm throwing over 21 metres all the time," Blignaut said. "In training you can have 40 throws a day, but in a competition you only get six and you have to make them count, so the 21m will come soon." Sokwakhana Zazini had the crowd on its feet in the Junior Men 400m race, ripping through the 46-second barrier to set an impressive personal best of 45.86. This followed his victory in the 400m Hurdles the day before, when he clocked 49.98 to take gold over the barriers. "I've been working to break through the 46-barrier and finally it came, so I'm quite happy," Zazini said. While he won the IAAF World U18 Youth 400m Hurdles title last year, Zazini said national crowns still meant a great deal to him and he was pleased to be competing at his best on home soil. "I'm competing here with guys in my country and being watched by people I know and love, so this means a lot to me," he said. 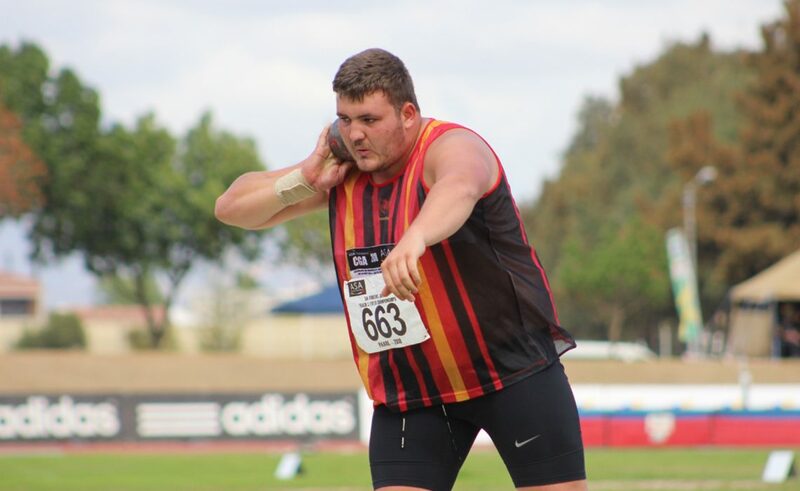 Lohan Potgieter won the Youth Boys Shot Put with an impressive 20.16m effort, while Dane Roets delivered a 16.89m heave to take the Youth Girls Shot Put. Tharina van der Walt won the Junior Girls Hammer Throw with a 56.37m attempt, less than a metre short of the South African record.